HBO put an end to Togetherness, but it’s still staying in the Duplass brothers business. 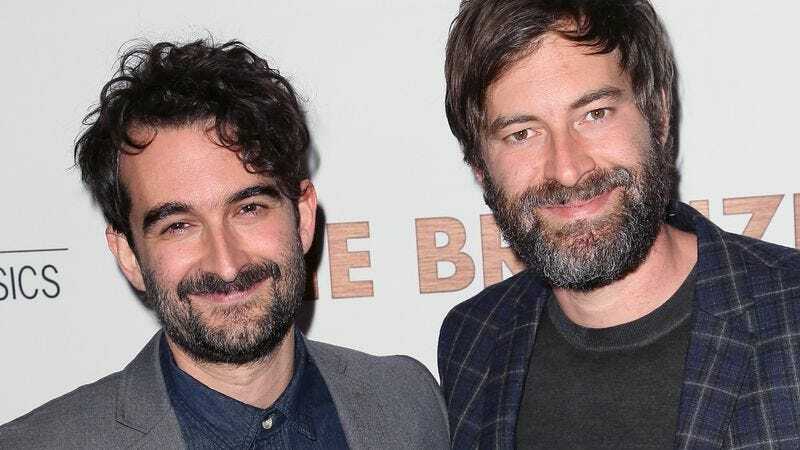 The network announced yesterday that a new show from the mumblecore luminaries is going into production later this year. Called Room 104, the anthology will follow the various characters that occupy a single hotel room. “We’ve all seen stories set in seedy motels and high-class international resorts, but for years we’ve been fascinated by the funny, weird, sad, scary, absurd things going down in that corporate chain hotel near the airport,” Mark and Jay said in a statement. “That’s what ROOM 104 is after… finding some magic in the seemingly mundane.” In other words, awkward sexual encounters galore. The premise is similar to a project from Greg Garcia that TBS just picked up, an anthology about a vacation home and its renters. Room 104 will premiere in 2017, alongside the return of the Duplass brothers’ animated HBO series, Animals.